Never-heard work from drummer Neftali Santiago – one of the founding forces of legendary funk group Mandrill – working here alone in the mid 70s, during a time when he was taking a break from the group! The music is fantastic – the best sort of 70s funk ensemble mode – maybe in the manner of Fatback Band on their earliest records, especially in the sharpness of the basslines and drums – mixed with some of that warmer, more spiritual glow that you'd find on the first two Mandrill albums for Polydor. Neftali sings on many cuts, but also really kicks it out of the park with his work on drums – heading up a few different groups here, with instrumentation that includes sax, flute, clavinet, and even a bit of minimoog. 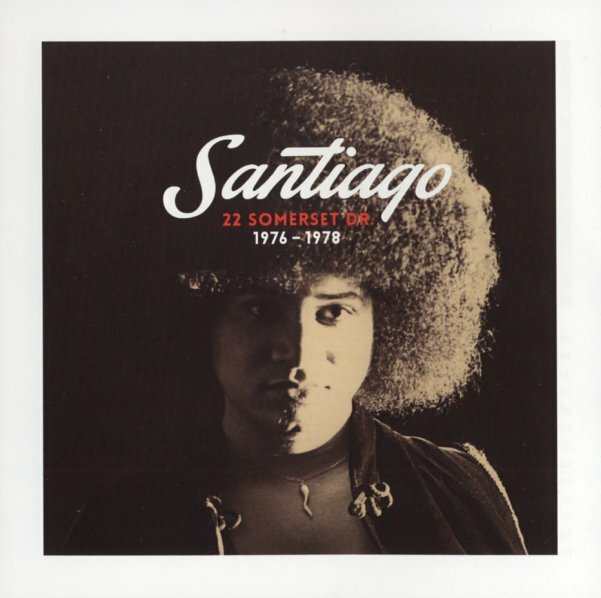 These are all unreleased tracks, but they've got a very fully-formed sound – and the whole album is a great testament to Santiago's genius, in a way that really has us underscoring his contributions to Mandrill! Titles include "Land Of The Leaping No No", "Feelin Good", "Bionic Funk", "Alone Together", "Freakin", "To & From Gamma 4", "Set It Free", "Let Out Your Beats", and "Everybody Hears But Nobody Listens". © 1996-2019, Dusty Groove, Inc.